Posted by Eddie & filed under Military/Aircraft, Mountains & hills, December 20 2009. On Monday last week I travelled to Galloway Forest Park to walk near Loch Doon. The weather was pretty bad, with freezing rain, mist and frozen ground underfoot. I walked in a plantation of fir trees to the southeast of the Loch, west of the Rhinns of Kells ridge, to the site of a Hawker Hurricane that crashed in the Second World War. 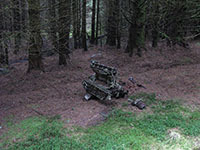 There is still some wreckage at the site, hidden away in a firebreak in the forest. 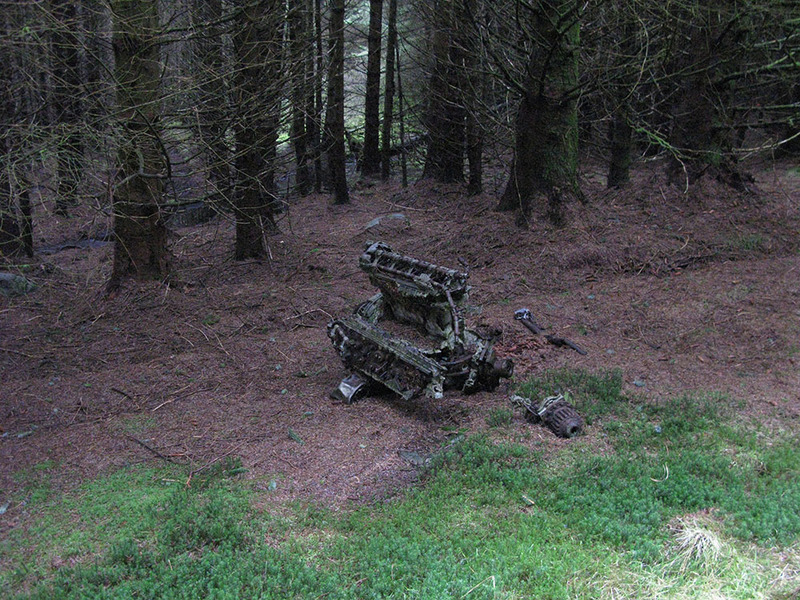 The wreckage is in danger of disappearing into the new forest growth but the Rolls-Royce Merlin engine from the Hurricane is still visible sitting on the ground underneath the canopy of trees. You can see my page about this wreck site on my website here.